Adding a pretty flower to your interior can add some freshness to it. It is indeed amazing how a simple flower can have a huge impact to the way your interior looks. Maybe it is because of the wonder and beauty of nature that is perfectly displayed by flowers. But aside from the flowers, it would also be nice if we have lovely vases too. With that, it would be a complete package of beauty. 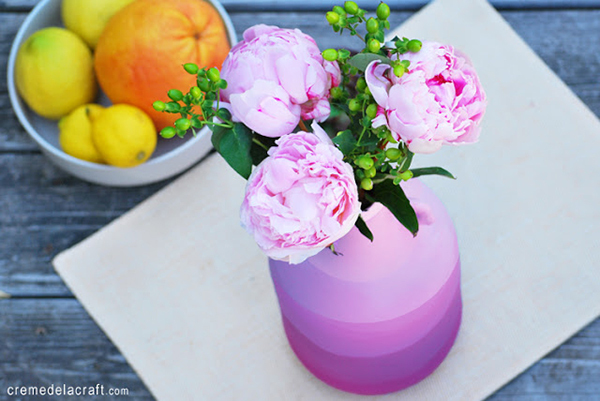 I know you think that it is really simple to DIY a flower vase. And guess what, you are actually right. 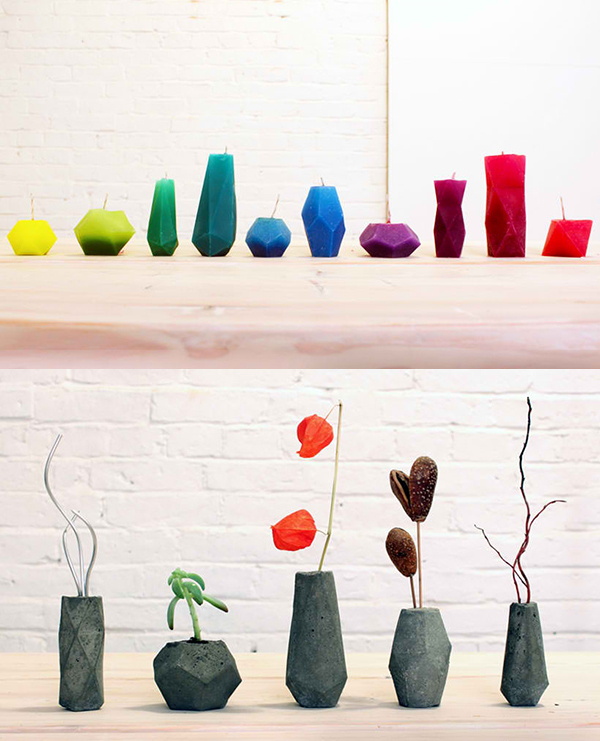 But it is still impressive that some creative people come up with surprisingly stunning flower vases done in simple steps. 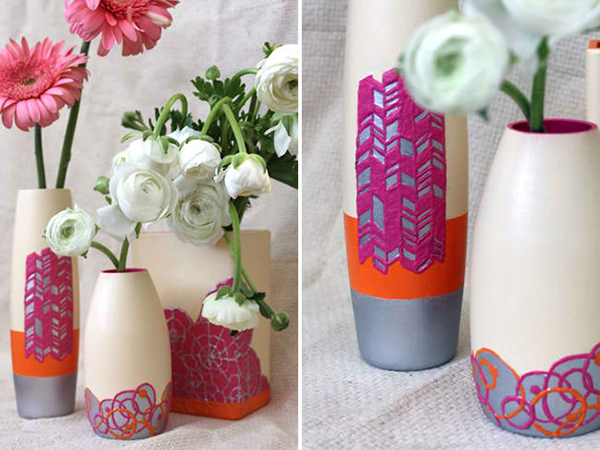 If you are as creative as the DIYers who did the vases below, you can come up with an even more stunning piece! Many of the vases in this list are painted but here are some variations too. This one used a bottle and added a ribbon on the rim with a tag. 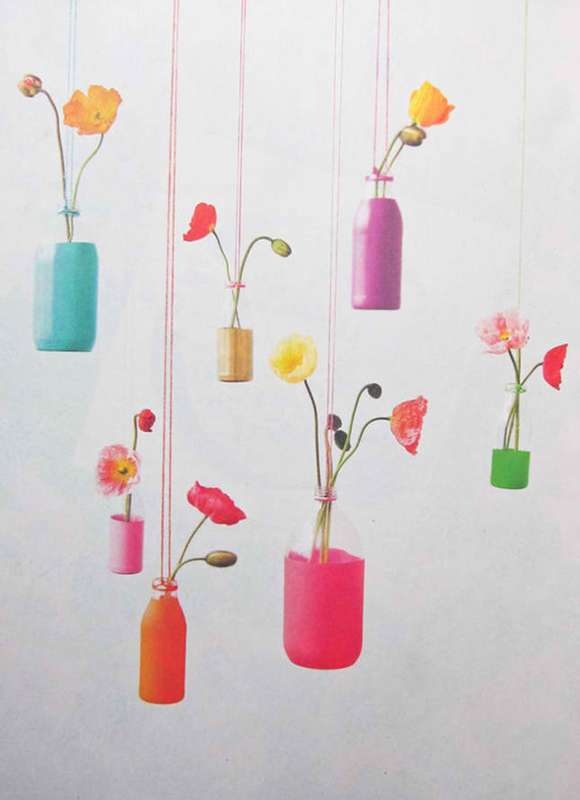 Want a hanging flower vases? Easy. Grab some plastic bottles, paint them and tie them. 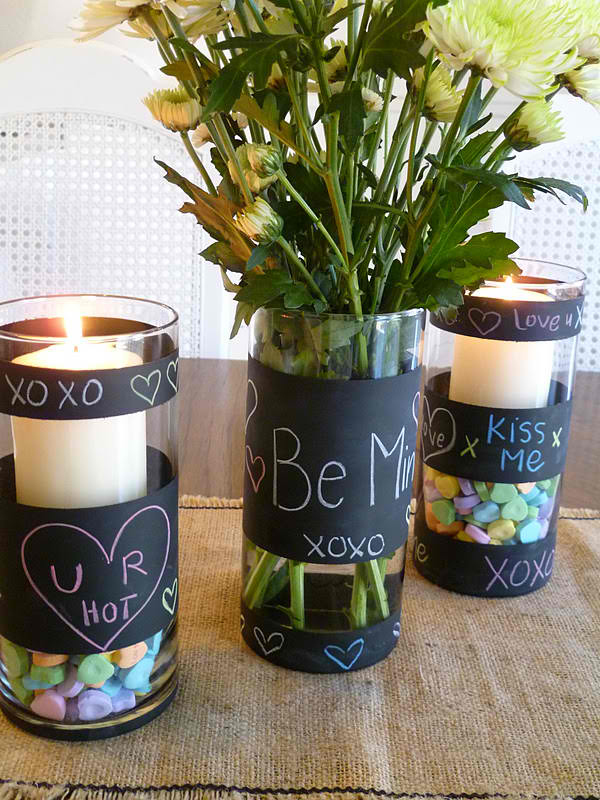 You can also add some sweet notes to a vase by painting it with chalkboard paint like this one. 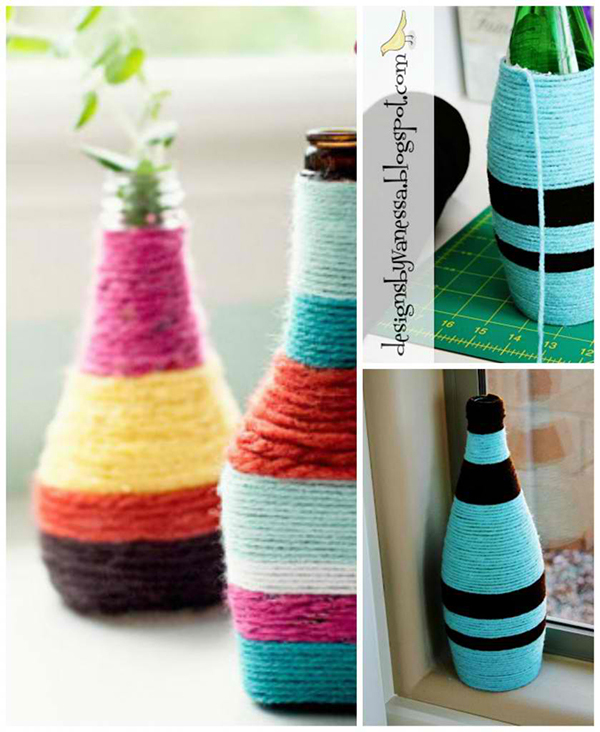 Get an old bottle and wrap it with yarn. Done! 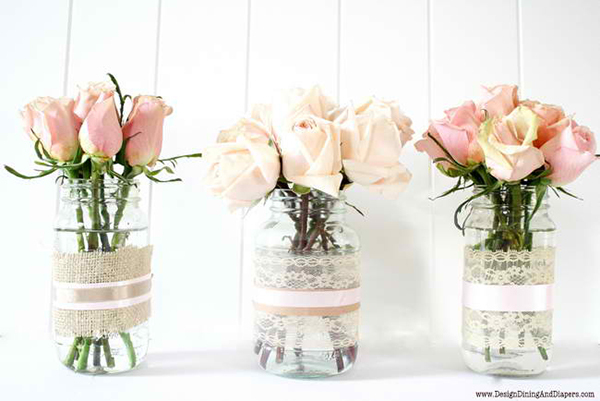 Get a jar and be creative with lace and ribbon for that chic flower vase. 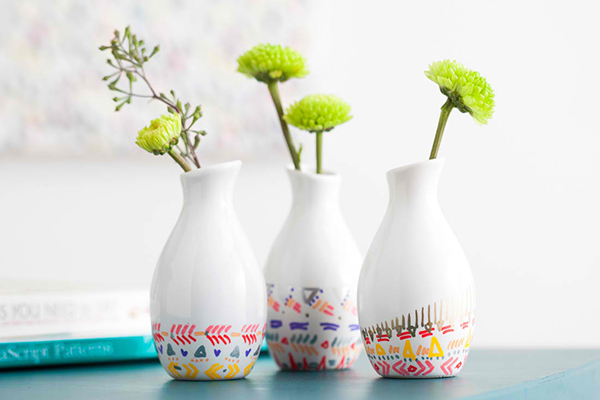 Give a dipped effect to a vase by drawing some cute patterns on it. 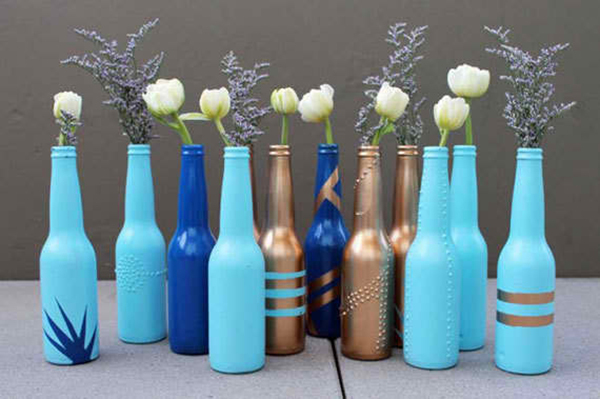 Don’t throw those beer bottles because you can paint them like this and be beautiful vases. Choose your text and spray it with glass frost. 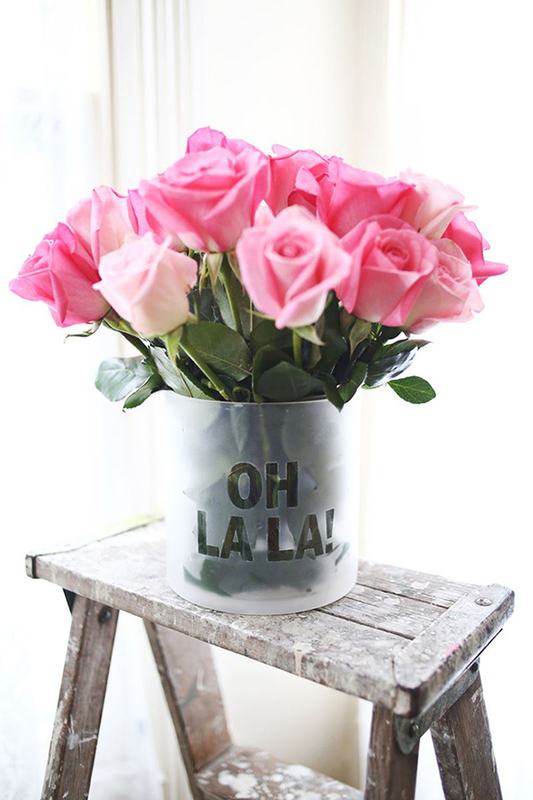 Get a lovely flower vase! Of course we will not forget about glitters. 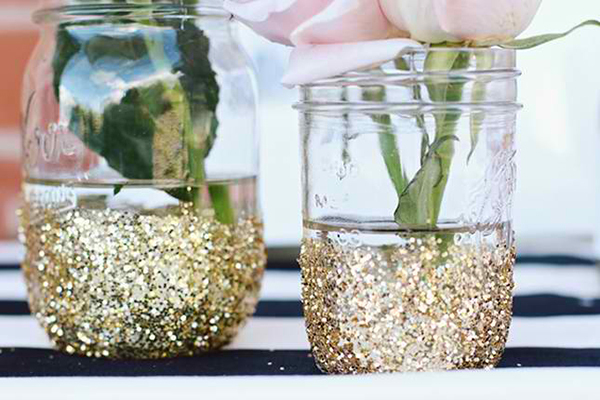 Just dip your jars to glitters and get a sparkly vase. This is one of my favorites! A juice jug looked really fab painted in purple ombre! Get some puffy paints to copy this texture look. No, you don’t need to spend a lot get a beautiful vase. Just place a glass inside a styled paper bag. 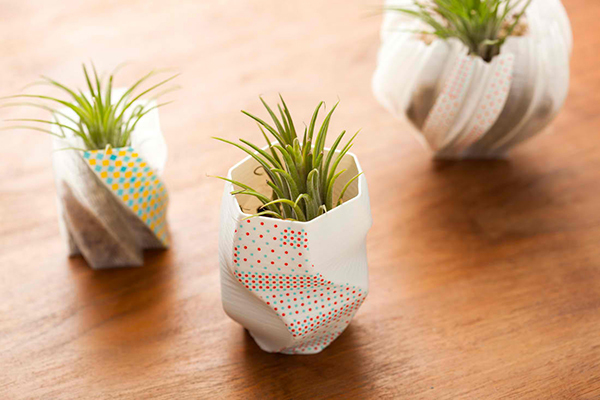 This one used 3D printed vases and some washi tapes to add some appeal to it. 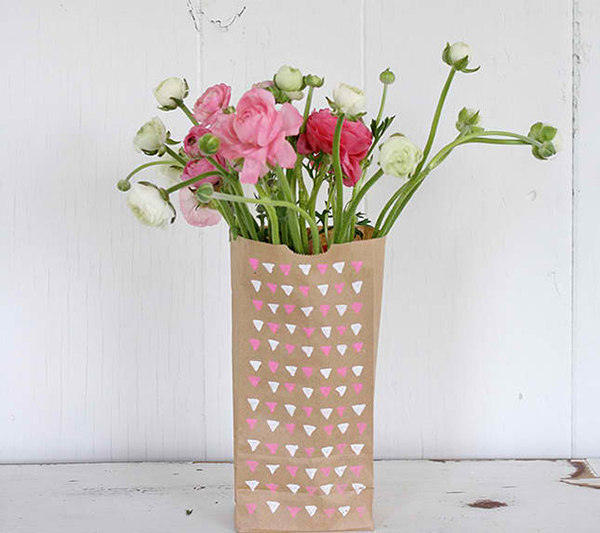 Using cardstock or cardboard, you can make a faceted vase like this one! 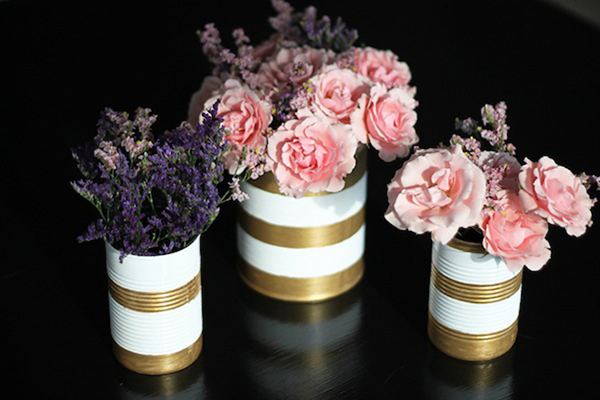 Instead of throwing those cans, paint them and you’ll get a pretty vase. Another one from Beautiful Mess using metal screens brought together with yarn. 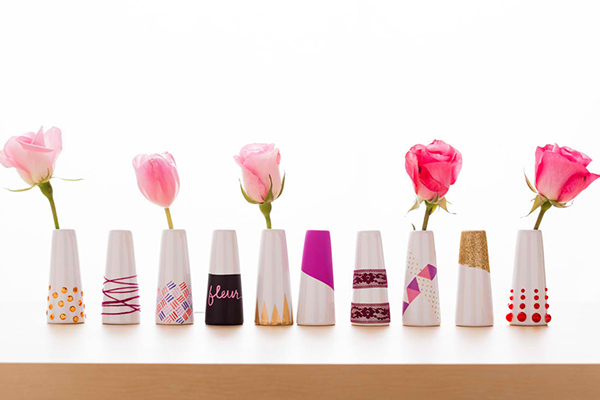 Look closely at the vases above that are done in 10 different styles from paint to washi tape! 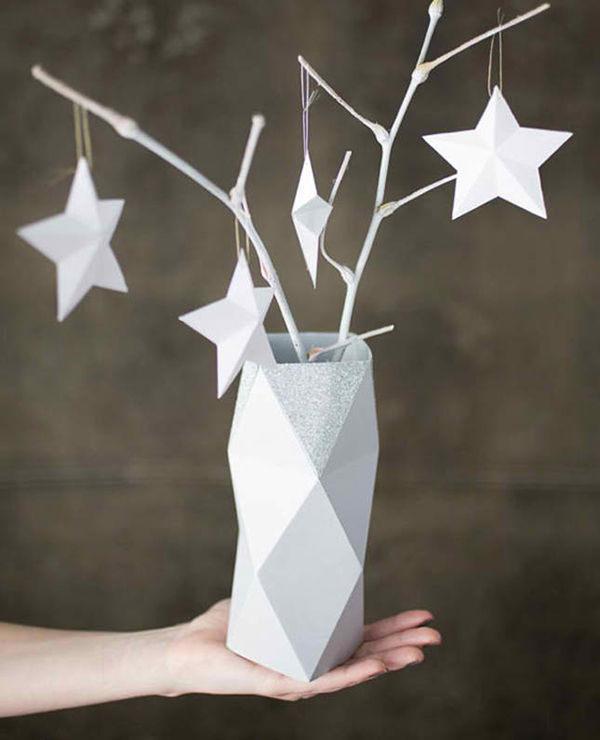 Print the pattern provided by the designer and use it as your molder for candle or cement. 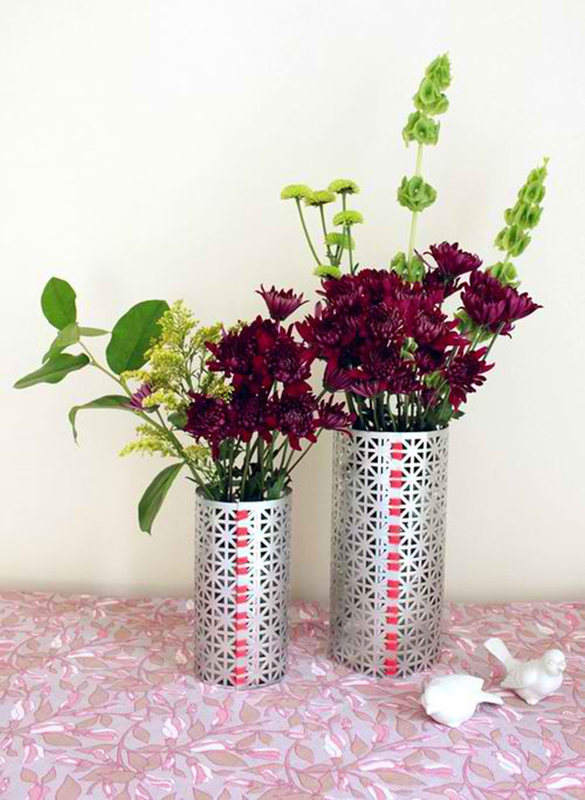 You will get these pretty modern vases. I saw something like this before but it was a rug. Guess they have a similar process though. 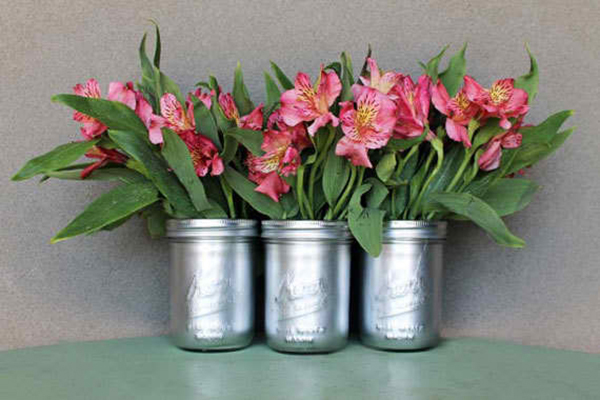 Paint a mason jar with metallic paint for that lovely flower vase. Of course, you can choose a different color too. 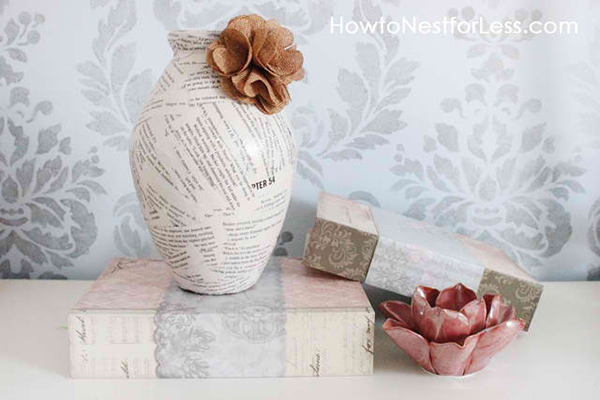 Use pages from an old book to cover a vase. This looks nice, right? I like what they did to this one! Just wrap a raffia around it and it would look really gorgeous! Pretty easy, right? 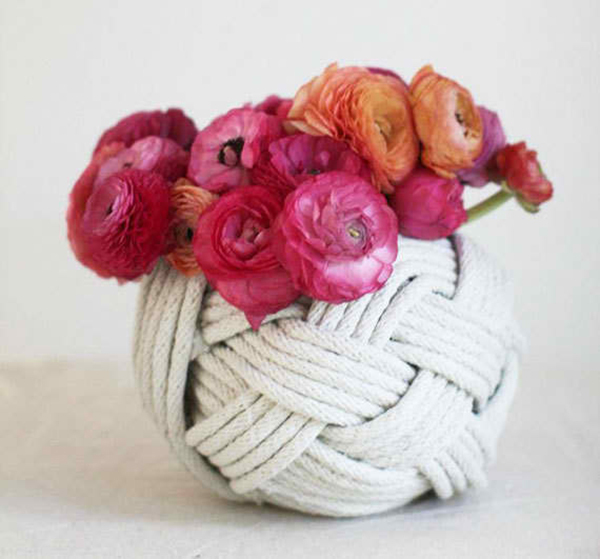 For sure, you will be able to revamp the look of your vase after seeing the ideas above. 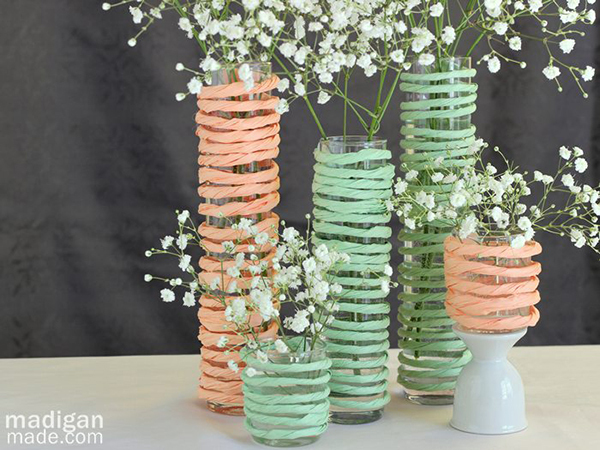 You can even grab something that you wanted to throw away and make it a flower vase for your centerpiece. What you see above shows us that even little things can actually change the way your home looks. 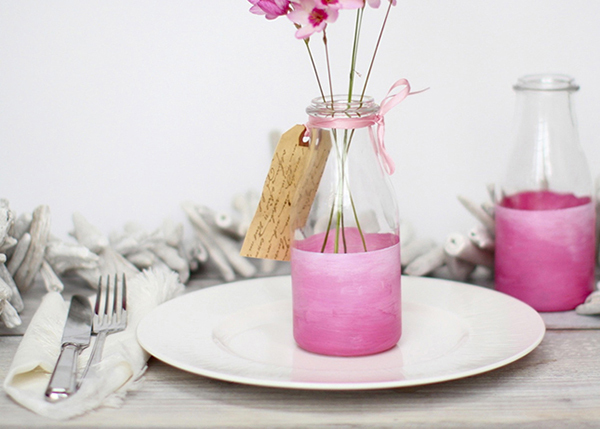 Like these flower vase, a candle holder can do the same to your space too. And, you can also DIY it!